I was perusing my hard drive for interesting GI Joe images when I came across this oldie from 2004. 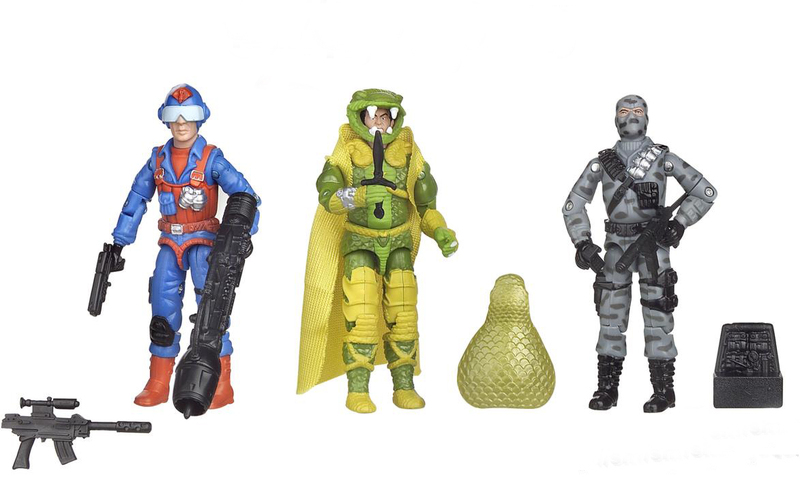 Remember when Hasbro’s weird press image style was a stark white background with accessories laid flat or superimposed among the figures? Well, at least it’s a more accurate representation of the toys than the weird satin Photoshop filter that’s used on modern press pics. I found some old pictures from this era recently, too. My fave was the green haired Serpentor. It made no sense, but was the type of oddball thing I could see for Serpentor. This is still the best Firefly figure ever released and is the cheapest, too. This image may not be dynamic, but the crisp quality does make the figures look appealing. Scrap Iron looks better, for some reason. And not only is that Firefly great, but he’s got his original gear AND it’s in black!